Auto trading software are mostly used in commodity trading. Auto trading software will generate buy or sell Signal based on program written on the trading software. If some Critiria are met on the written program the auto trading software will generate a signals. Share Live Buy Sell Signal software gives you buy / sell signal when market is live. It gives audio / visual signal with stop loss and target. Automatic BUY & SELL signal with Stop Loss. SAPT [Signal Avoiding Protocol Technlogy] First Time in India. Live Scanner For BULLISH and BEARISH Stocks. Mt4 buy sell signal software is a powerful tool for those traders who are professional chartists but those who don't have much knowledge of charting they also can get advantage by watching buy and sell arrows. It comes with proper stoploss and targets. For Charting we use world's best software platform named " Metatrader - 4" . 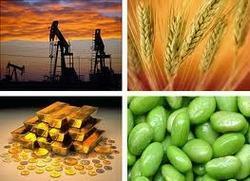 Backoffice software for Commodity Brokers. It covers the operation of NCDEX, MCX and NMCE Exchange. 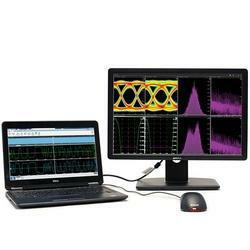 TekScope AnywhereTM Waveform Analysis brings the power of the scope analysis environment to Windows based PCs, Servers, and Tablets. Users now have the flexibility to perform analysis tasks including timing, eye, and jitter analysis outside the lab. Our Auto Best buy sell signal software indicator for Nifty and MCX is ADVANCED ARTIFICIAL INTELLIGENCE + GENETIC ALGORITHM BASED TRADING SYSTEM for Indian stock market and easy to use , it works across multiple time frames and does not require any in-depth knowledge of Technical analysis .